New Church Road got its name when plans for the second of its two churches, St. Philip’s, were passed in 1894. Prior to this, it was simply part of Church Road. The first church, St. Leonard’s, is much older having actually been rebuilt in the middle of the 13th century! Prior to 1893, most of what is today New Church Road was not even in Hove. Only a small portion on its east end fell within the parish of Hove. The legislative absorption of Aldrington into Hove changed that though. Today, however, there are just as many people who state ‘Aldrington’ when asked where they live as there are people who have no idea where Aldrington even is. 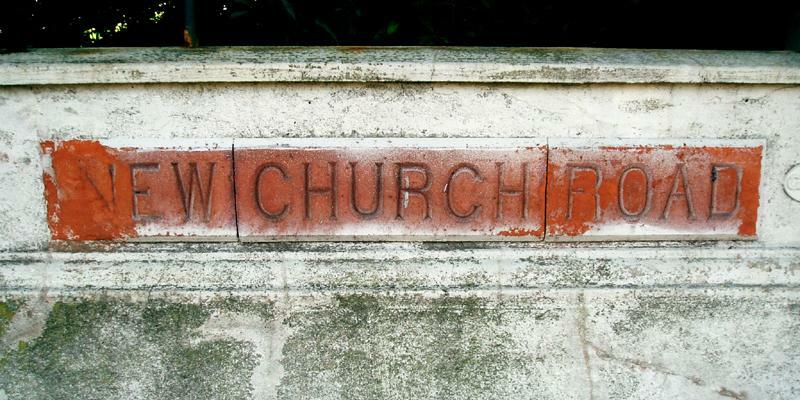 During my regular walk to Hove Station one morning, I spotted a terracotta plaque which simply stated ‘New Church Road’ on the low wall outside one of the Brighton & Hove Hebrew Congregation’s buildings. Interestingly though, the plaque was in the middle of a block, not on a corner. Below New Church Road, the boundary between Aldrington and Hove was Westbourne Place (along which it is still possible to see sections of the old boundary wall). By extending the road to the north to dissect New Church Road on a map, I noticed that the plaque sits adjacent to the boundary, just within the Aldrington section which explains its seemingly arbitrary location. The entire Hove portion of New Church Road falls within what was once known as the Vallance Estate after its owners, the wealthy Vallance family. Hove Museum & Art Gallery, once known as Brooker Hall, is by far the finest building on this section and was built for John Olliver Vallance in1877. Blenheim Court and Pembroke Court, two 1960s blocks, tragically replaced the neighbouring property, a ten-bedroomed mansion set in extensive grounds. 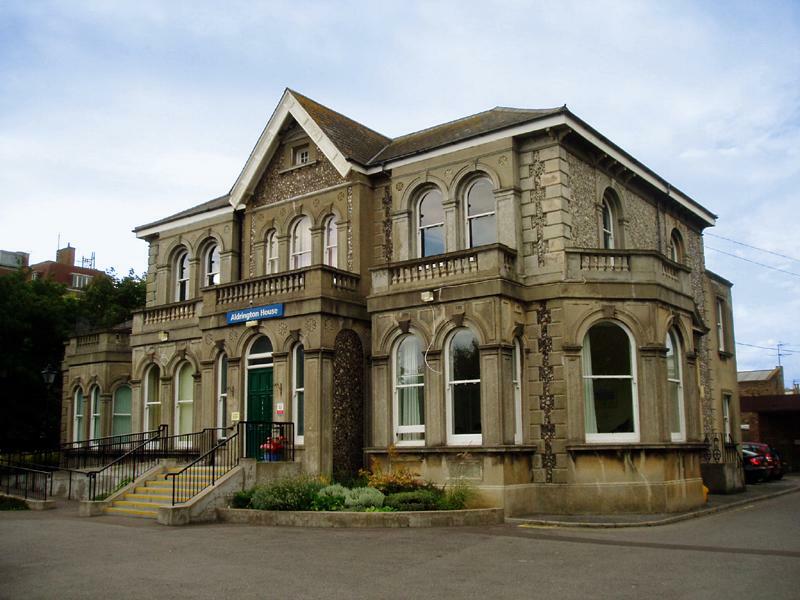 Aldrington House, within the Aldrington section as its name suggests, was built in the late 1800s as a private house but is today an NHS day centre for the mentally ill. Despite its rather imposing appearance, it is my favourite building on the road due to its rugged appearance (and will be my house if the NHS ever sell!). Many mistakes were made on New Church Road during the 1960s and a massive block is under construction close to the Richardson Road junction. It seems to better than its 60s counterparts at least. Once completed, I will review.